You receive a Facebook Messenger message from someone you know with your name and the word “video” followed by a short URL or link that has a bit.ly or t.cn address. Most likely your friend’s account has been hacked and they know nothing about this. Clicking on the link will redirect you to a malware infested page. Common techniques are to launch a Flash Player update notification. NEVER click on one of these. This is a long-running scam. You know the old saying “There is no free lunch”? Well there are no free tickets either. Just do NOT click on these. These are increasing every day. They come from Amazon, Lowe’s, Home Depot, Costco, Sears and even regional supermarkets. 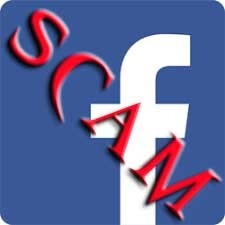 They require you to post the scam to Facebook and fill our a survey. This will get you more spam than you can imagine in the form of robocalls and possible malware. The recent spate of hurricanes – and the fires in California have spawned a fresh batch of fake “charities” to help the victims. Don’t trust anything like this you see on Facebook. The latest scam claims that Carnival is offering free cruises to disaster victims. All you have to pay are taxes and port fees. If you really want to help. go to your local TV station web page and they will have a list of charities who will actually help. If you follow me on Twitter you will see these in a more timely manner.